The following blog post was written by Bjarne P. Tellmann from the Association of Corporate Counsel. Our legal department recently launched an innovative mentoring program for college students and recent graduates with disabilities, some of who were interested in pursuing a legal career. The success of this initiative, launched in partnership with the National Federation of the Blind, has revealed how mentoring can be a powerful tool to achieve more diversity. Diversity is intrinsically desirable from a social justice perspective. But it also makes good business sense. Numerous studies show that diverse teams outperform homogenous ones in many ways. For example, a company’s financial performance improves along with its level of racial, ethnic and gender diversity. Diverse teams are also more innovative and better at solving complex, non-routine problems. But to achieve such outperformance requires ”cognitive diversity”, which is defined as “the extent to which the group reflects differences in knowledge, including beliefs, preferences and perspectives”. That usually requires seeking diversity beyond race and gender to include educational attainment, national origin, age, sexual orientation, disability, and other characteristics. The deeper the level of diversity across all dimensions, the more likely a group is to be cognitively diverse. A Harvard study of 1.5 million scientific papers, for instance, found that those written by more diverse groups of authors and associated with greater geographical and intellectual diversity had more citations and higher impact factors. Mentoring can play a vital role in promoting diversity because it is an easy and cost effective way to attract, retain, and motivate diverse talent. It sends a strong signal to marginalized groups that typically lack optimal support networks that they are valued and desirable. Mentoring programs can be structured in different ways depending on the specific needs of the company and individuals involved. But for the program to be successful, it must be authentic. It must focus on helping mentees develop their knowledge, networks and careers and (to paraphrase Steve Jobs) how to make their dents in the universe. At Pearson, our legal professionals are supporting disabled young mentees to develop career plans that reflect their true interests and capabilities, without regard to their disabilities or others’ perceptions of what is ‘appropriate’. The model leverages our internal resources and is innovative, inexpensive and replicable. 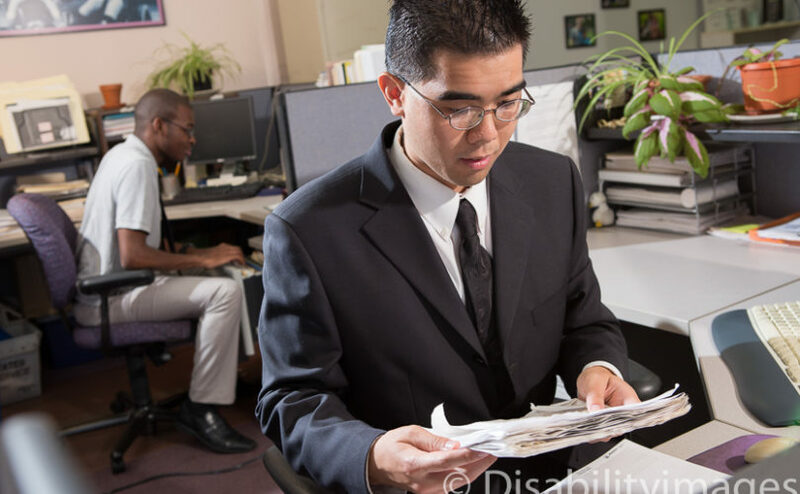 We decided to focus on disabled professionals because they are highly marginalized both in our profession and within the job market as a whole. Despite being the largest minority in the US, disabled people have by far the largest unemployment rate. Only 0.38 percent of all lawyers in law firms are disabled. That is shockingly low, leaving precious few disabled lawyers to act as role models for younger disabled professionals, with the result that pathways for success can seem hard to scale. Many get discouraged. A UK study found that, even though the scope and level of career aspirations of disabled and non-disabled 16 year olds are similar, the gap between unemployed disabled and non-disabled people widens as they age. In the US, 60 percent of all 1.4 million disabled college graduates are unemployed. Those who do find work are 16 percent more likely than nondisabled graduates to be underemployed and working in service-related jobs that do not require a college degree. Our mentoring experience has convinced me that success can lie in such simple things as being authentic, challenging self-defeating assumptions, providing gentle encouragement and helping disabled mentees to discover and then harness the power of their own narratives. So little effort can yield so much. If we all chipped in, we would enjoy a more diverse workforce. Reprinted with permission of the author and the Association of Corporate Counsel as it originally appeared: Tellmann, Bjarne. “Mentoring and Diversity,” ACC Docket volume 35, issue 9 (Nov. 2017): 22-23. Copyright ©2017, the Association of Corporate Counsel. All rights reserved. If you are interested in joining ACC, please go to www.acc.com, call 202.293.4103 x360, or email membership@acc.com.